Max Pzoras is a haunted young man—haunted by his mother’s long illness and death, a tragic break-up with his girlfriend, and the deep scars caused by growing up in the housing projects of the Bronx surrounded by drugs and violence. Max manages to rise above it all and make it to Harvard and then to success in corporate America, but he never comes to terms with the suffering he has seen and experienced. One night, a chance encounter with a homeless man and an ascetic Indian food cart owner on the streets of New York sets into motion this mesmerizing and often moving tale of one man’s quest to understand the meaning of life. Like many Westerners before him, Max journeys from New York to far-off India in search of enlightenment. Think ashrams and India in the vein of Eat, Pray, Love. But where Elizabeth Gilbert is funny, self-deprecating, and ironic, Bajaj’s worldview is tragic, existential, and deadly serious. A student of yoga himself, Bajaj creates in Max an alter ego of sorts, one who undertakes a life-altering journey into a yogic existence of self-mortification and self-denial in order to chase away the cobwebs of the past and rise to transcendence of the human condition. Max’s first stop is the Himalayas, vividly and hauntingly evoked in all its isolation and frozen fury by the author. There he journeys in search of a Brazilian yogi, only to find himself pointed in the direction of the holy city of Rameshwaram, far south of the Ganges, where he travels and lives in an ashram for a few years under the tutelage of the yogi Ramakrishna. In Rameshwaram he battles with his self-doubts and mortal weaknesses through yoga and meditation, rapidly becoming an expert in both and experiencing a wide array of moments of transcendence and spiritual insight through a long and labored process of gradual self-mortification and the rigorous practice of yoga asanas. Along the way, he twice falls prey to lust, but the calls of the spirit are stronger than those of the flesh. Once again, Max sets out on a long journey—a 60-hour journey by train—this time, back to the Himalayas, to pursue the yogic path further and arrive at complete detachment from worldliness and, finally, at self-realization. It is here, amid the fearsome glacial landscape of the Himalayas, that he must battle the scars he carries from the past to reach his ultimate goal. 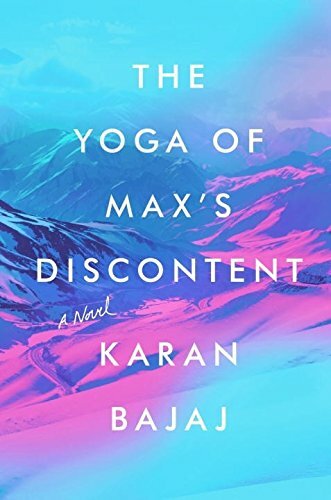 The Yoga of Max’s Discontent, Bajaj’s third novel, tells the gripping story of a spiritual quest in which it is truly the journey rather than the arrival that matters most. Along the way, the reader can find some pearls of enlightenment on the practice of meditation and yoga. If you are not inspired to go to the Himalayas after reading this novel, you might at least consider disengaging from your electronic gadgets and frenetic worldly existence for a while and pondering the imponderables of the universe. Meenakshi Venkat is a graduate of St. Stephen’s College, University of Delhi, India, and has an M.Phil. degree in English from The Graduate School and University Center of the City University of New York. She has taught literature at the undergraduate level and has also been a correspondent and book reviewer for the human development magazine Education World. She has worked in the publishing industry for the last 10 years as an editor. At present, she is a freelance copy editor and editorial consultant based in Houston, Texas, and specializes in academic editing in the humanities and social sciences.